I love the taste of this bar. The texture is great. However, it is extremely sweet. Tooth achingly sweet. 17g of sugar. Maybe tone down some of the sugar content and this would be 10/10. I received a sample of the Strawberry-Raspberry Mini complimentary from LoveWithFood. I was a bit hesitant but I fell in love the first bite! It is just like a fruit roll up but better! I love how fresh the fruit tasted with the nuts! I definitely will be purchasing these in the future! Delicious!!! The best bar I ever had!! I will be buying some more of these. Thanks for a Great product!! Hands down the BEST tasting nutrition bar on the market! 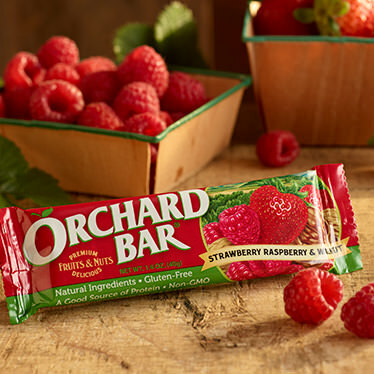 I buy this bar because it tastes great. The nutritional value is just a plus. I've tried all the flavors and come to love the Strawberry - Raspberry Almond. It's chewy - crunchy texture is very appealing. Give it a try! Both vegan AND amazingly tasty. These bars are my new daily sweets-fix.